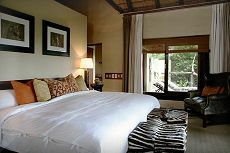 The heart and soul of Londolozi, offering Eight Chalets and Two Superior Chalets. The campfire has burned here for over 82 years making Varty Camp the symbolic heart and soul of Londolozi. 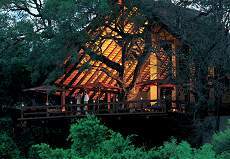 Varty Camp is also home to the original Sparta Hunting Camp, a boutique, the Cardio Vascular Room, Massage Treatment Room and Library. Guests from all Camps are invited to make use of these facilities.